completely and absolutely! i'm going to be brutally honest here because tyler deserves it. ty came on board with kai just over ten years ago and i was at a real low. personally and professionally life was happening in a way that just wasn't cool. not even close. but fate/destiny/luck/the universe answered my prayers. enter tyler. coming from a buyer's background, e-luxury, tyler brought an understanding to the brand that would have been impossible had she never been in her clients' shoes. she came in for the initial interview and walked out with marching orders to be at barneys in new york in a week. long story very, very short. i believe i have excellent instincts so, sorry ty, i put her feet to the fire as i'm known to do. armed with nothing more than what we call our client "bible" tyler went about getting to work. guess what? she stepped up! i knew she would and if she was sweating it i'd defy anyone to point it out. tyler just seems to have that perpetually sunny outlook. always looking incredibly fabulous and fresh as a daisy, i think she may have wanted to shoot me when we surprised her with a lunch at nobu to celebrate her ten year anniversary with kai. (fyi, we have a long-standing tradition here where we celebrate birthdays with a surprise of cupcakes and candles or decadent donuts. the surprise is generally not very surprising anymore but it's fun and shows the true affection we have for each other.) so there was that but we weren't done yet. 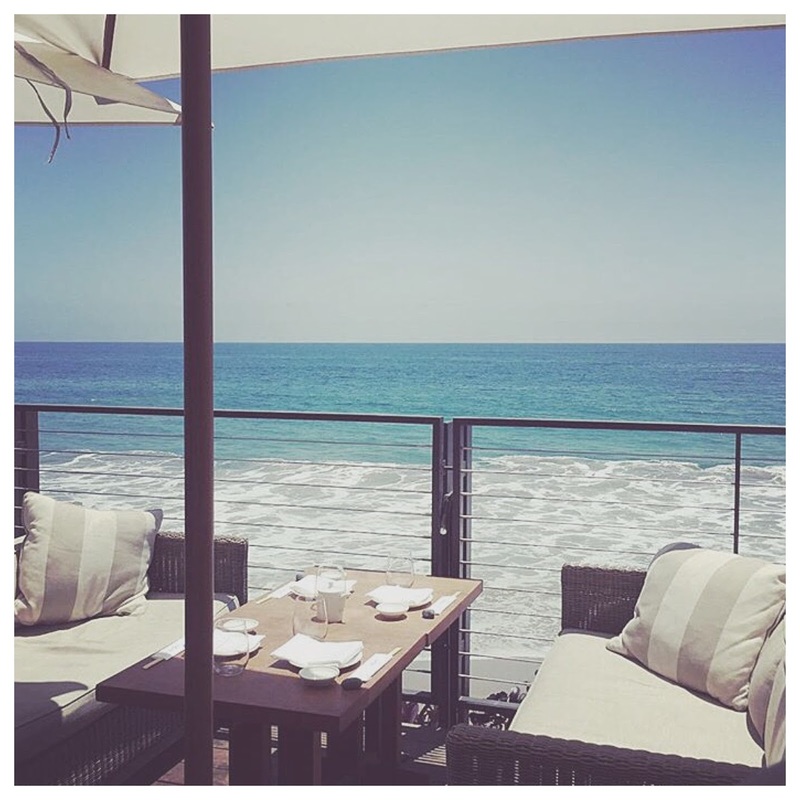 a rare day is to enjoy lunch at nobu malibu but who deserved it more? it was not just a birthday but a ten year anniversary! noon straight up i walk into ty's office. me: "we're taking you to lunch at nobu." tyler: "i can't. i have too much work to do!" me: "you've got five minutes." she's the real deal. her accounts are over the moon with her. peter and my angels adore her and i'm incredibly grateful to have her! in other words, stand in line. she is an absolute professional and sweet as sugar. i count tyler as my dear friend, confidant and co-worker extraordinaire. we share a history that's hard to replicate. in these last ten years we've leaned heavily on each other. thru thick and thin, sickness and health, ty's been rock solid! in closing this love letter, thank you tyler! from the bottom of my heart, thank you!!! i couldn't agree more, gaye! ty is a true fashionista and a breath of fresh air. spending time with her on a daily basis is so special to me. she's so caring and thoughtful and of course lil g, her sidekick, is the sweetest little pup ever! georgia, "lil g," is our office mascot and without the two of them, kai just wouldn't be the same. here's to many more years together with our amazing family at kai! need i say more? tyler is the ultimate kai angel, our resident everything (including pun-developer, grammar checker, fashion expert - the list goes on for miles). she makes you feel loved on even the worst of days, going above and beyond for all of us and i couldn't imagine being here without her. congrats, ty!!! i think i speak for everyone when i say how truly lucky we are to have ty as part of the kai family. ever poised and smiling, she keeps us all laughing and light-hearted with her quick wit and charming personality. ty, you are a light in this office! here's to the next ten years!! i have been extremely fortunate to have worked with tyler since her early days at kai ten years ago. as the only angel based on the east coast, sometimes my far-away working environment can seem remote, distant and out of the loop from the main headquarters; however tyler always goes out of her way to make sure i feel connected, included and supported by her in every way possible. 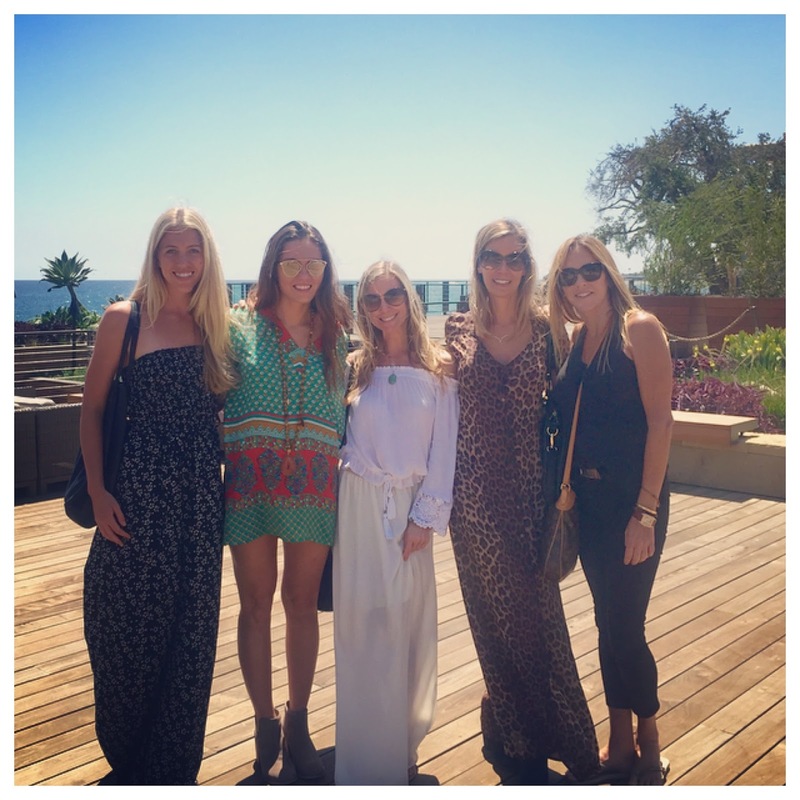 tyler is also one of the most poised, professional, graceful, sharp, and savvy business women that i have ever met. i handle the pr for kai, and with tyler being the vp of sales - it is important that our two departments work hand-in-hand smoothly in order to maximize success. my work with tyler over this past decade has been incredibly seamless at all times, and that is truly because she is such an amazing communicator, and is remarkable at her job! additionally, i have never seen anyone who will always drop everything in a heartbeat to help out anyone on the team; no matter how crazed she might be on her end with her own responsibilities. one recent example is when we needed something overnighted to the netherlands for a very important photo shoot with glamour magazine. it was impossible for us to overnight the shipment from malibu because we would miss the press deadline, and our first attempt at getting a retail partner from europe to ship straight to glamour in the netherlands was unsuccessful. tyler did not waste a minute and contacted another retail partner at 4:00 a.m. that morning her time to make 100% sure that we could fulfill this request in time to meet the photo shoot deadline! and viola, it happened! no matter the hour, tyler goes to the nth degree to offer support. congratulations, tyler, sending much love, and wishing you all the best! i believe you can fly, ty. to ten more years. thanks for everything you do.